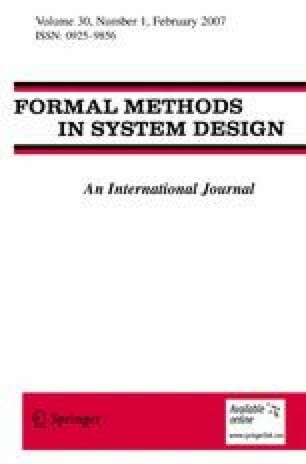 This paper describes a method for merging behavior specifications modeled by transition systems. Given two behavior specificationsB1 andB2, Merge (B1,B2) defines a new behavior specification that extendsB1 andB2. Moreover, provided that a necessary and sufficient condition holds, Merge(B1,B2) is a cyclic extension ofB1 andB2. In other words, Merge (B1,B2) extendsB1 andB2, and any cyclic trace inB1 orB2 remains a cyclic in Merge(B1,B2). Therefore, in the case of cyclic traces ofB1 orB2, Merge(B1,B2) transforms into Merge(B1,B2), and may exhibit, in a recursive manner, behaviors ofB1 andB2. If Merge(B1,B2) is a cyclic extension ofB1 andB2, then Merge(B1,B2) represents the least common cyclic extension ofB1 andB2. This approach is useful for the extension and integration of system specifications. This research was supported by a grant from the Canadian Institute for Telecommunications Research under the NCE program of the Govemment of Canada and by an IBM research fellowship.